Bellesguard history is intimately linked to the history of Catalonia. There are places that are like a magnet for historical facts. As a crossroads in which characters, dates and exceptional circumstances are given. The Torre Bellesguard by Gaudi is one of those places. The main attraction of the place was its location: the foothills of Collserola, on top of the city, a place of clean air and water.This spot was chosen in 1408 by King Martí I, the last king of the House of Barcelona, to settle to live until his death in 1410. A king with a singular taste who also choose this place to marry Margaret of Prades whose beauty celebrated poets of the time. 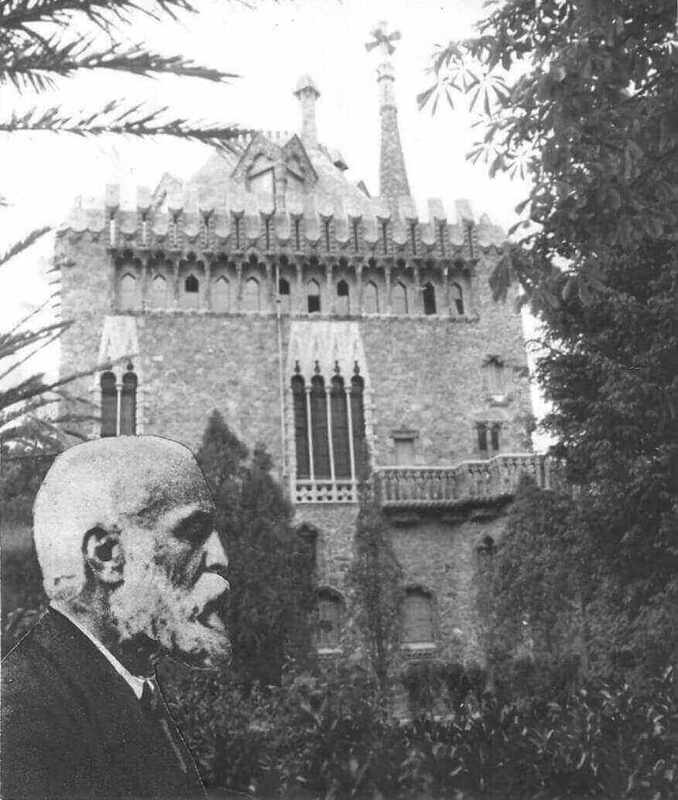 This story and the remains of the castle, which today form part of the decoration of the garden were the main inspiration for the great Catalan architect Antoni Gaudi. He built this beautiful house between 1900 and 1909 and it has always been a family home. 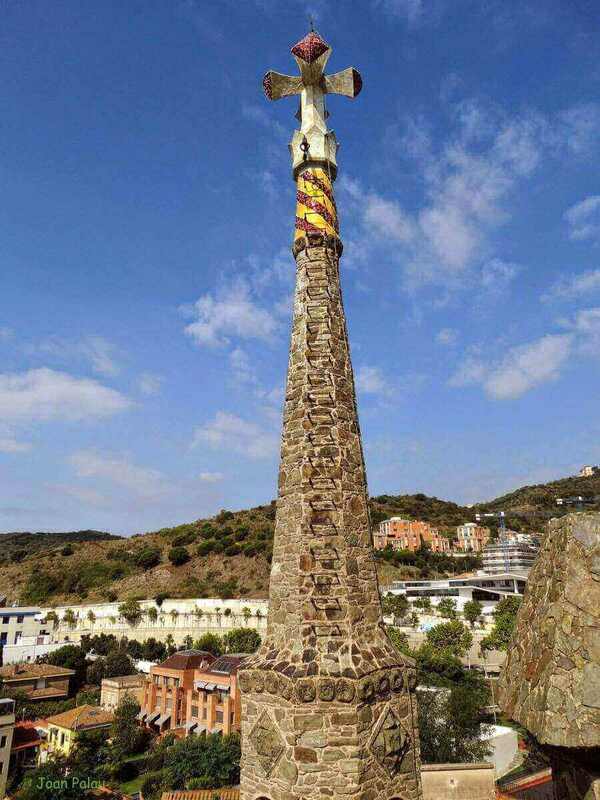 The tower is also known as Figueras house because Mary Sagués, the widow of Jaume Figueras, was the person who hired Gaudí to build the house. But most suitable name is Bellesguard which means the “beautiful view”. The four-armed cross that crowns the Torre Bellesguard by Gaudi is an emblematic element (not only on the house but in the Catalan Modernism) It is like the signature of the architect. In the construction of the house stands the stone mosaic slate walls, the brick arches, the Catalan vaults, the truncated pyramid of the cover, the iron forges and the narrow windows. In this civil building, architecturally halfway between Gothic and Art Nouveau, we found dozens of Christian symbols and constant references to the past. A kind of a game of connections in which Gaudí was a master as it can be seen in the Sagrada Familia, La Pedrera or the Park Güell. 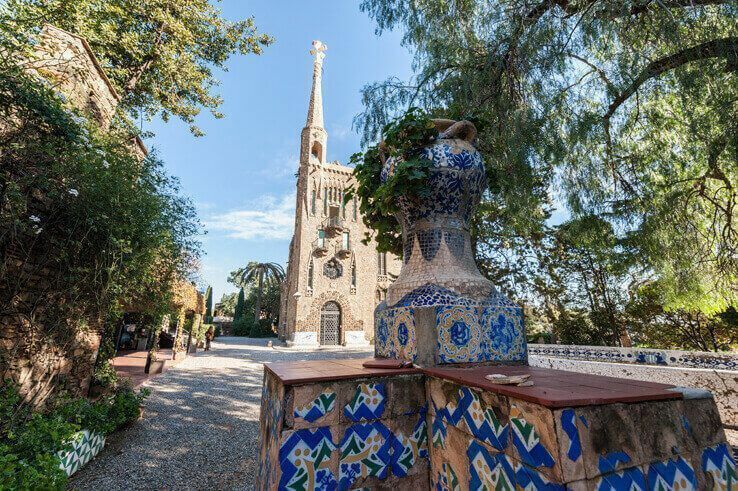 But Gaudí was not alone during its construction: he worked with other architects like Domènec Sugañés, who made the tiled benches of the entrance, the tiling of the staircase and the gardien house or Joan Rubió, who built the viaduct bordering the road to the state. Since 1944, the Guilera family owns this jewel that in 1969 was declared a site of Cultural Interest. Generously, the family opened its doors to those interested in visiting. But the city grew and the old village of Sant Gervasi de Cassoles to which belonged the land was swallowed up by the city. Some infrastructure involving this growth surrounded the house and they were very close to harm irreparably the building. The family, knowing that his legacy was a privilege but also a responsibility, launched in 1983 and in 2008 a series of very two very costly and risky renovations. Today, a team of researchers and caregivers has been created to keep the house in good condition and explain it with a wealth of detail to the visitors. 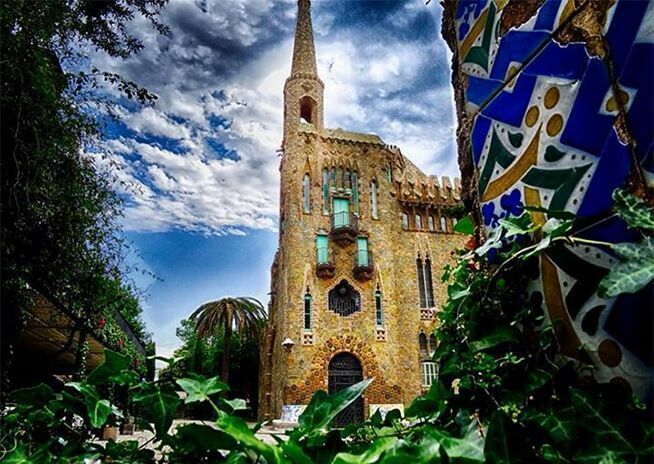 At the same time, Torre Bellesguard by Gaudi has become a multipurpose space and the house of different cultural and artistic activities like musical evenings called Nits Gaudí. Now Bellesguard is a new space in Barcelona and for the Barcelonians, open to the city and the world, for tourist but also for citizens. More and more visitors want to incorporate this visit to the Gaudi’s itinerary because it is an unforgettable experience. 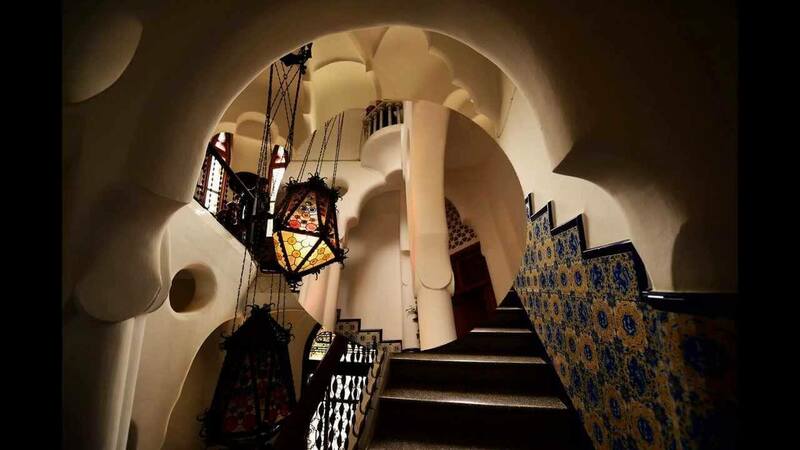 As always, when visiting the Bellesguard with Barcelonina & Co. , everything will be advantages … because we know the house and its owners well and can offer a personalized and unique treatment.